The Iris bungalow is the second type in the sunrise gardens development. 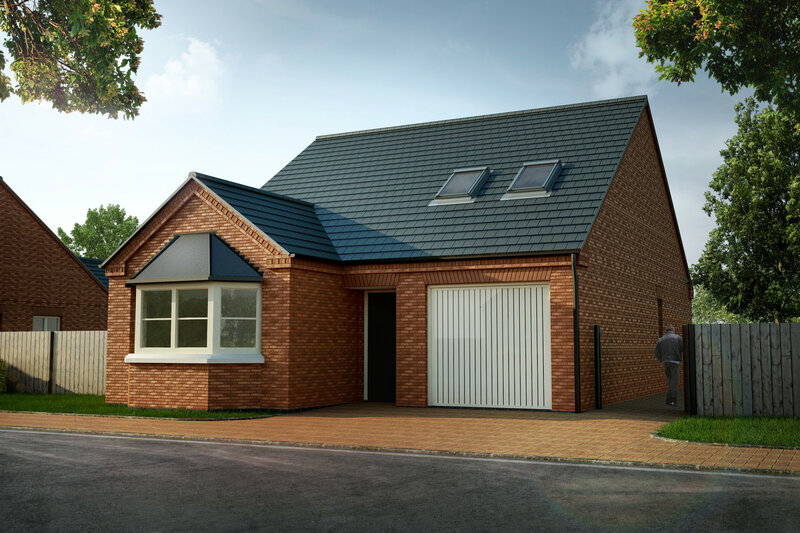 With four bedrooms in total, this bungalow allows for plenty of space and comfortable living. The kitchen and dining area create a relaxing space to entertain friends and family. Make your Kitchen truly your own with our extensive range of kitchen choices. Integrated appliances come as standard, including a dishwasher, washer dryer, fridge freezer, single electric oven, and gas hob with extractor hood. There are two bedrooms downstairs, both with great storage capabilities. Upstairs hosts a further bedroom as well as the master. There is a bathroom on this floor fitted with an ideal Playa suite. There is a fully tiled bath area and splash to basin in your choice of tile from our select range. An integral door leads to the garage that is can easily fit a modern saloon car with room to spare.